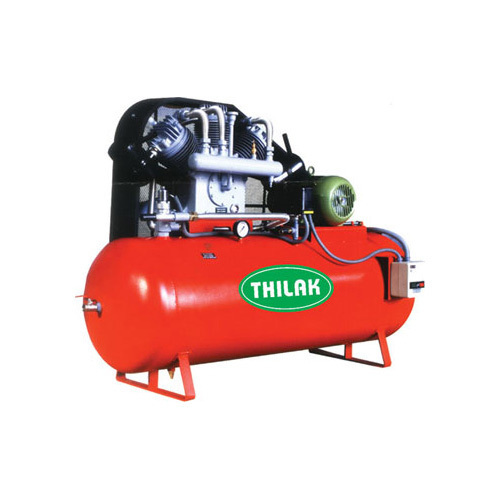 We have gained expertise in delivering a range of Reciprocating Air Compressor. These are manufactured using qualitative raw material, which we source from authorized vendors of the market. The products we offer consists of overhung crankshaft and single-piece connecting rod that allow access to the running gear and makes maintenance of this compressor easy. Owing to attributes like excellent performance, reliability and easy installation, these compressors are widely used for removing oil, moisture, and dust from the atmosphere. Founded in the year 2002, we "Hot Springs" are manufacturing and exporting a wide range of Sanitary Napkin Destroyers, Sanitary Napkin Vending Machines, Water Heaters, Kitchen Equipment, etc. We also offer Maintenance Service and Repairing Service. We have constructed a modernized infrastructure facility, which aids in executing all the trade operations in a streamlined way. Our production unit is armed with various latest machines and tools that are essential for smooth production of all the offered products. Due to the relentless efforts of our R&D experts, we are bringing constant improvements in the quality of offered products and technology of infrastructure premises. All our organizational tasks are looked after by a team of dedicated professionals, which is having detailed knowledge & experience of industry. These professionals work in tandem among each other to attain the organizational targets with efficiency and on-time. Due to the perfect blend of dedicated workforce and sound infrastructure facilities, we have mustered large number of loyal patrons for ourselves, throughout the nation. Under the able guidance of our mentor Mr. Rajendhran, we have occupied a remarkable position in this era of cut throat competition. His vibrant leadership qualities, charismatic managerial skills, vast knowledge of the industry and dedication for devising new solutions for saving bio-mass fuel have enabled us to add numerous loyal patrons for ourselves in the market.